Down at the 40-somethings factory the workers are busy constructing their perfect musician. First up they add a little bit of 1960s melody, then they rustle up some Brit Pop, put in some psychedelia and even a bit of sitar. After a frantic day of manufacturing out pops Steve Mason, like a drug-free Julian Cope ready to take to the stage at Bestival. The former Beta Band singer first became the middle class dinner party music man of choice with his breakthrough album Monkey Minds in the Devil’s Time – a deeply personal psychedelic pop experience that was a little bit mainstream but edgy enough to garner the ‘alternative music’ tag. Here though he’s gone even further into dinner party land, with some perfect production that’s good enough to spark discussion, but not exciting enough to overshadow dessert. With trumpets blaring out on tracks such as Another Day and some excellent pop on Water Bored and Alive, the drones at the middle-aged, middle-class factory have done their job well. But while its fun to be a little cynical about this album’s demographic fan base and safe song writing there’s no disputing that this is a good album. While none of the 11 tracks are incredible they are all good and there’s a real charm to his vocals that makes him instantly likable. 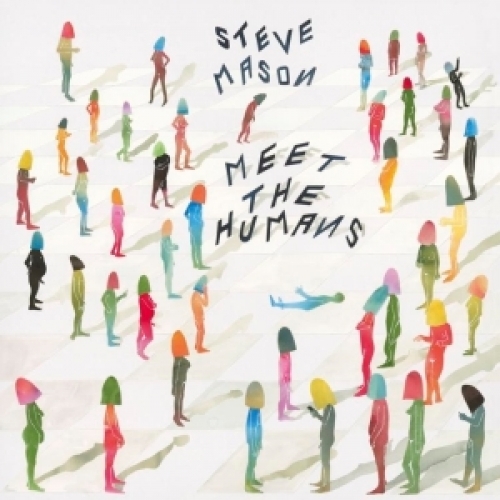 Sometimes its good to play it safe and here Mason offers those that first discovered him with Monkey Minds in the Devil’s Time or have stuck with him since his Beta Band days something cosy and warm to listen to, even if it is stuck on factory settings. I’m lucky living near the Somerset levels. I do most of my music reviewing there while dog walking across its muddy fields and streams, flanked by Glastonbury Tor to one side, the chimneys of the former Clarks shoe factory in Street to the other. At dusk and dawn in winter the sky is dominated by waves of starling murmurations. During summer the herons take charge, fishing in the River Brue while the kingfishers whizz past and the buzzards and crows fight overhead. 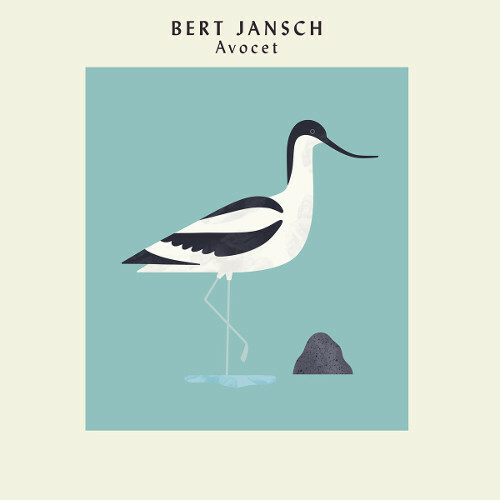 For the next in this excellent set of Bert Jansch reissues by Earth Recordings they have picked Avocet, a quite simply beautiful collection of instrumentals inspired by this legendary folk artist’s own love of birds and nature and seemingly tailor made for my Somerset strolls. Each track focuses on one bird, perfectly encapsulating their movement and daily life, including the perils and beauty of nature, from the kingfisher’s flash of electric blue across water to an Osprey looking for prey. Kingfisher immediately chimes with me as a bird I see regularly. The pace of the music is graceful but still conveys the sheer speed of this lovely bird as it darts around the river. Other birds I’m less familiar with, like the Avocet, I just have to imagine. Jansch does a fine job of helping me there with this 18 minute long album opener turning effortlessly from peaceful meander to frantic folk jam. As well as the compositions it sounds great too. Released in 1979 there are flashes of the folk electric guitar playing that Jansch pioneered in his Pentangle days. The album also features his Pentangle bandmate Danny Thompson on his unmistakable double bass as well as Martin Jenkins’ mandocello, violin and flute to provide added quality to the mix. Once again this was an album that is new to me via the Earth Recording reissues. I’m starting to wonder how I survived all these years of birdwatching and walking around the countryside without it for so long. 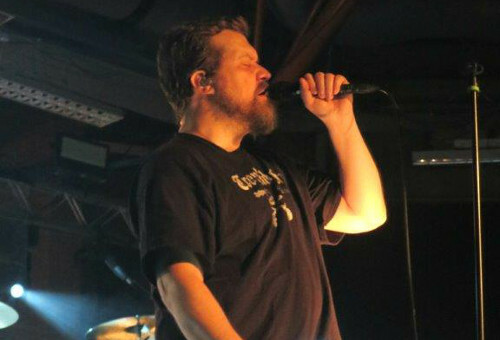 It’s a much needed confirmation of people’s recognition of good taste to see the rise and exponential rise of the big beardy mountain man, John Grant. Was it really five years ago since he was nervously supporting Midlake on a UK tour of pubs and clubs with audiences measured in their tens? It certainly was, and now after extensive touring and three solo albums under his belt (an appearance on Jools Holland Later didn’t harm his popularity) he’s getting pats on the back from all and sundry, he has friends in high places and remarkably this tour will see him eventually play the Royal Albert Hall. His third album enigmatically titled Grey Tickles, Black Pressure is currently dividing opinion and is the latest instalment of his trademark melodic bluntness – an iron fist wrapped in a big bear of a duvet. The current tour schedule sees an appearance at the Sheffield Octagon with a band now supplemented by the legendary powerhouse of a drummer, Budgie, who is perhaps best known for his time spent with Siouxsie and the Banshees. Budgie really alters the dynamic of the band, adding firepower and percussive intensity to an already simmering concoction. Grant still has the long serving Chris Pemberton, tonight sporting a very tasteful curly moustache on keyboards, Jakob Magnussen on bass and Peter Hallgrimson on lead guitar. What you will immediately notice though, is the continuing evolution of these now wonderfully familiar tunes, from their gentle birth on record to the fully fleshed out live renditions they have morphed into strident rock songs, in particularly Geraldine and Snug Slacks. Then there’s the polar opposite with frenetic dance epics like Pale Green Ghosts and You and Him, at times sounding more like New Order than our sensitive piano guy. All the time Budgie drives the band on like a grinning drummer boy on speed. Obviously the emphasis tonight is on the newly released album so they also perform Down Here and the title track before putting on the handbrake and revisiting Marz and the aforementioned Pale Green Ghosts before another about turn as he rocks out with Snug Slacks. Queen of Denmark still retains its incredible emotional clout and is devastating tonight. John introduces tonight’s star guest, local swearing expert and crooner extraordinaire Richard Hawley. They run through a crowd pleasing GMF and a super version of Disappointing, which soared. The encore was brilliant, the most upbeat tune on the new album You and Him with it’s irresistible dance chops and viciously savage lyrics, then back to the keyboard for the closing two numbers, the very moving Drug and Caramel. Sincere, funny, self deprecating, Grant is at the top of his game. He leaves the stage drained, we were in a similarly emotional state too. After a day of relentless rain the River Brue, between Street and Glastonbury in Somerset, decided enough was enough. In a fit of rage it cast aside its sodden verges and pushed itself out into the surrounding fields. Just metres away from these new muddy lakes at the Bocabar on the edge of Glastonbury another typical west country event was taking place, with Bristol’s Gaz Brookfield, his fiddle player Ben Wain and Nick Parker performing in front of a loyal following. The trio were in Glastonbury on the fourth night of a 20 or so date tour across the UK, Netherlands and Germany. 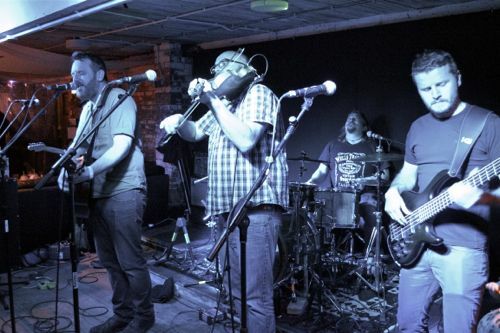 For Parker this was the home leg and he brought along his band for the occasion, called the False Alarms and including Swampgrass’s guitarist Brad Lister and Flipron’s bassist Tom Granville. For the independent spirited Brookfield, who deliberately remains unsigned, he’d brought along a fair few followers too. But he was also venturing from his Bristol base on his ongoing mission to win over new fans. On this evidence it’s no wonder he recently sold out Bristol’s 400 capacity The Fleece and is busy all year round playing around 200 gigs. There’s an engaging appeal to Brookfield as a performer but also his songs demand attention – part tongue in cheek commentary on modern Britain, part stream of conscious musings from his hectic life on the road. Among those tracks getting an airing tonight were Be the Bigger Man about the universal issue of bullying. And with the opening line “I’m sick and tired of renting, I want a place to call my own” on Sailor Jerry’s Kitchen he is speaking to the hundreds of thousands of young people trapped in high rent Britain. 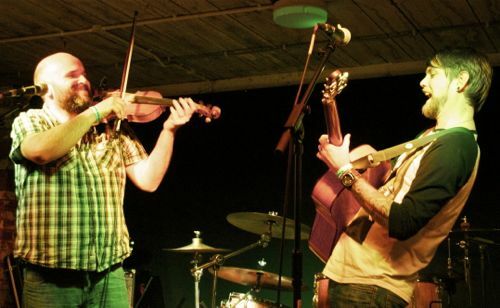 In Wain, Brookfield has the perfect foil and a virtuoso fiddle player. The music just sounds action packed and heartfelt from start to its rousing sing along finish. Parker is cut from the same cloth as Brookfield as a singer songwriter embedded into the west country music scene and with a focus on being an engaging performer. He admits on a new song tonight that he “doesn’t do political”. Instead his tales are about growing up in awe of Irish music on I’ve Never Been To Dublin and stories of modern love and odd relationships. At the end of Parker’s set, which also featured the versatile Wain, Brookfield joined in for an epic medley around the folk classic Plastic Jesus. 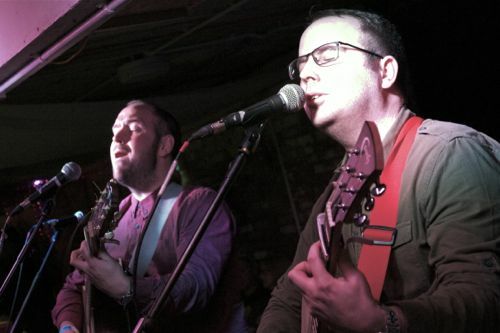 *Support tonight was from Alex and Craig Priddice, locally based brothers with some perfect harmonies and great tunes under their belts that are building up a reputation locally as another quality live act. 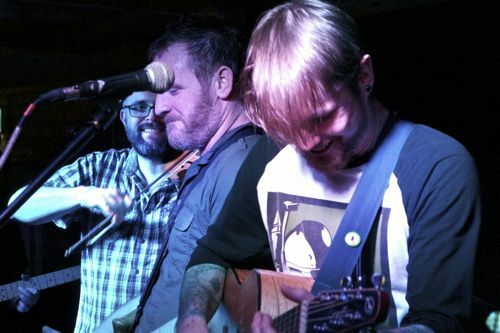 For more information about the Gaz Brookfield, Nick Parker and Ben Wain tour click here. For the fourth year running I’m spending February helping the Glastonbury Festival organisers unearth some new talent as one of 40 music writer judges involved in the Glastonbury Emerging Talent Competition . Over this month I’ll be sifting through around 130 tracks and video clips of UK and Irish acts to find three to put through to the next stage in the competition – a place on a 120 strong long list. 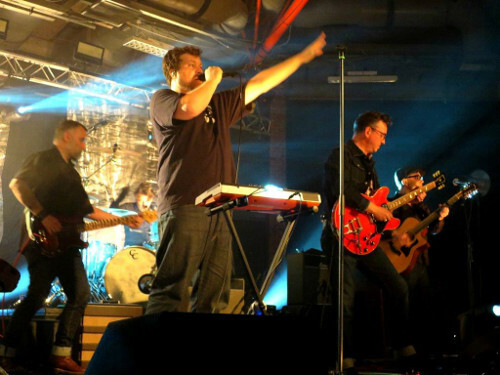 This will then be whittled down further to a short list of eight acts who will compete at a live final at Pilton Working Men’s Club in April to win the top prize of a main stage slot at this year’s festival. The winner also receives a £5,000 PRS for Music Foundation Talent Development prize to help develop their career and two runners up will receive £2,500 from PRS. As with the previous three years I like to focus on some of the acts that have caught my ear so far during judging and are in contention to become one of my three. Here are some that have grabbed my attention so far. Bloke on beach makes an incredible sound by hitting his guitar strings. That’s immediately a little different. Then the voice from this Welsh singer songwriter, called Thomas Seddon who goes by the name Luna Tides, comes in, which is great. Then came the clincher for me – it’s a song that kept rattling around in my head days after listening. 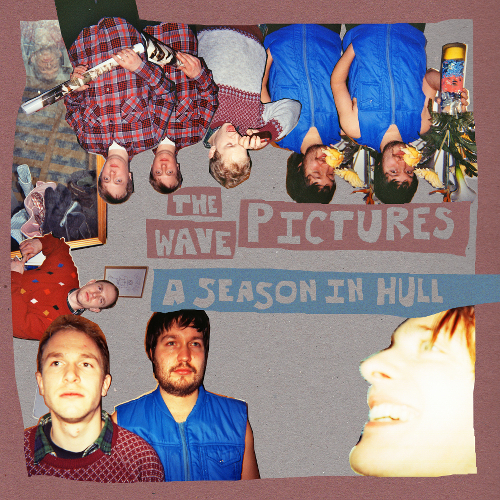 Unusual rhythms, squelchy keyboards, great vocalist all with a dark bunch of lyrics elevate this four piece from Southampton above the usual indie rock fare. I certainly wanted to hear more after hearing this brooding take on romance. There’s a nice laid back folk feel to this track Bella from singer songwriter Josh Savage, who as a child was a soloist touring the world with the National Children’s Choir. The addition of violin on this track reminded me a little of Ra Ra Riot. Indie-poppity pip, pippity-pop. Like finding an old Chesterfields cassette down the back of the sofa this London four piece are firmly rooted to C86 indie pop, with some lovely guitar interplay to boot. This feel good track plus their intriguing listing of Magic Johnson as their genre certainly grabbed my interest. I love a good epic sounding baritone fronting guitar pop and Wit, the vocalist for this trio, certainly fits the bill. With BBC 6 Music’s Tom Robinson already interested they are another act that shows strong potential to put in a good live set at Glastonbury.